Saudi Arabia, the United Arab Emirates, Egypt and Bahrain launched a political and commercial boycott of Qatar last June, accusing it of supporting terrorism. Qatar has ordered retailers to stop selling products from Saudi Arabia and other countries that severed ties with it almost a year ago. Qatar quickly turned to other countries like Turkey to help replace the supplies of food and other key imports that had suddenly been cut off. But third parties have still been bringing some products from the boycotting nations to Qatar “through illegal channels, as the opportunities for the black market grow. Saudi produce will now be sold alongside illegal products like alcohol and drugs in the Muslim country. In order to combat the illegal trade the Qatari government said in a statement late Saturday that the directive to retailers to stop selling the products was intended to protect consumers and combat smuggling. A ban on the sale of goods from the boycotting countries was enforced in Qatar in the early days of the crisis, but the government has seen an increase in smuggling and now the retail ban is designed to quash the demand for Saudi produce. The Gulf state’s standoff with Saudi Arabia and the other Arab nations who are loyal to Saudi Arabia, is taking part in the boycott shows no sign of coming to an end. 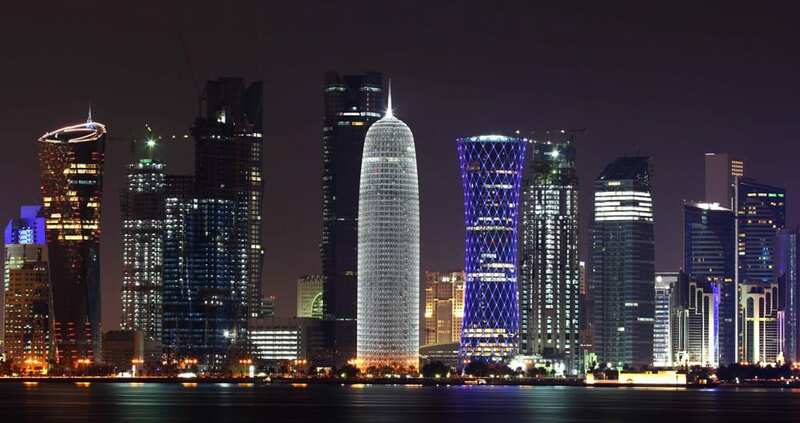 The Qatari government has strenuously denied the accusations of supporting terrorism. After weathering the initial shock last year, the Qatari government says it has adapted to the new environment as initially, the Saudi authorities gave a very short deadline to the Qatar and closed its airspace to Qatar Airways last year in June. In June of last year Saudi Arabia, the United Arab Emirates, Egypt,Bahrain, Yemen and the Maldives say they are severing diplomatic relations with Qatar.